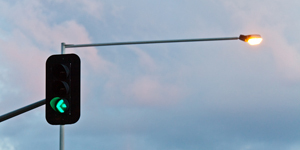 Trafficworks has experienced designers and engineers, prequalified with VicRoads to prepare Traffic Signal Plans, Intersection and Roadway Functional Design Plans, Roadway Lighting Design, including electrical design, and Signage and Linemarking Plans, including Sign Face Design. Trafficworks has Senior Road Safety Auditors accredited in Vic, NSW, Qld and SA to undertake road safety assessments and audits at all stages of designs / projects and of traffic management for road works. 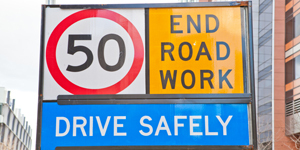 In addition, Trafficworks provides road safety research and policy advice to VicRoads. Trafficworks has extensive experience in preparing traffic management plans for both short term and long term road works. Trafficworks also provides traffic management plans to manage traffic around road and lane closures associated with public events. 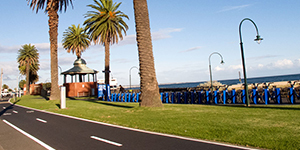 Trafficworks has extensive experience in developing projects for VicRoads and Local Government programs. These include road safety, congestion, bus, tram, bicycle and pedestrian improvement projects. 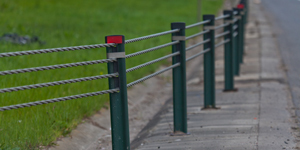 Trafficworks assists private and public clients to undertake Traffic Impact Assessments for change of use developments.